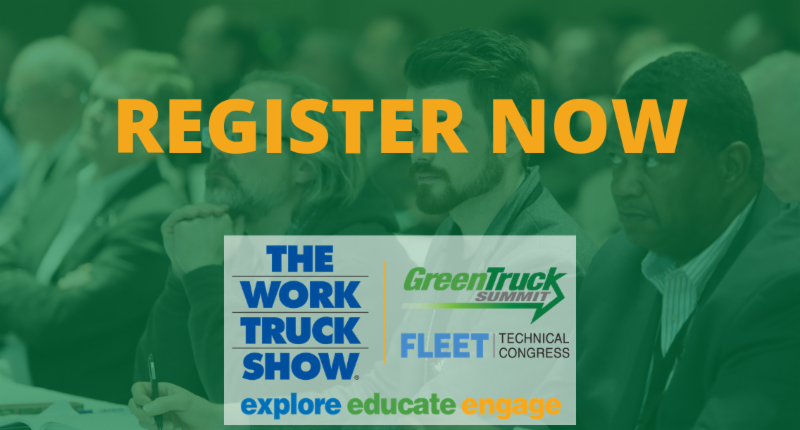 If you haven't yet, be sure to register for the combined Green Truck Summit and Fleet Technical Congress on March 5. T he events will provide insight into clean commercial vehicles and solutions to enhance fleet operations, plus much more. They will run on the same schedule with their own keynote speakers followed by general sessions. Registrants can easily switch back and forth between the two, based on preferred topic areas, throughout the day. Learn more and register.